I have seen several references to “negative emotions” lately. Socially speaking, we have a way of labeling any uncomfortable emotion as negative. And, from my professional perspective, I feel that is damaging to our well-being. I believe that ALL emotions are neutral—there is no such thing as good or bad emotions. Emotions are simply a communication tool—a way for our psyches to tell us something. Our psyche may be communicating whether a need is being met, or if something aligns with our values. How we, then, choose to RESPOND to the emotion, is what informs the outcome of the situation. For example, if we feel jealous, we may perceive that feeling as negative. But, the feeling, itself, may simply be telling you that another person possesses a quality that you are seeking. The emotion is communicating a need you have. At that point, you can either respond to the emotion with judgment, or hostility, toward yourself or the other person. OR, you can channel that jealousy into productive action towards meeting that need within yourself. Your response is what makes the emotion productive or unproductive, if you feel the need to assign value. But, even so, the actual emotion, itself, is neutral. Many people describe feeling expansive when they are happy and contracted when they are angry. 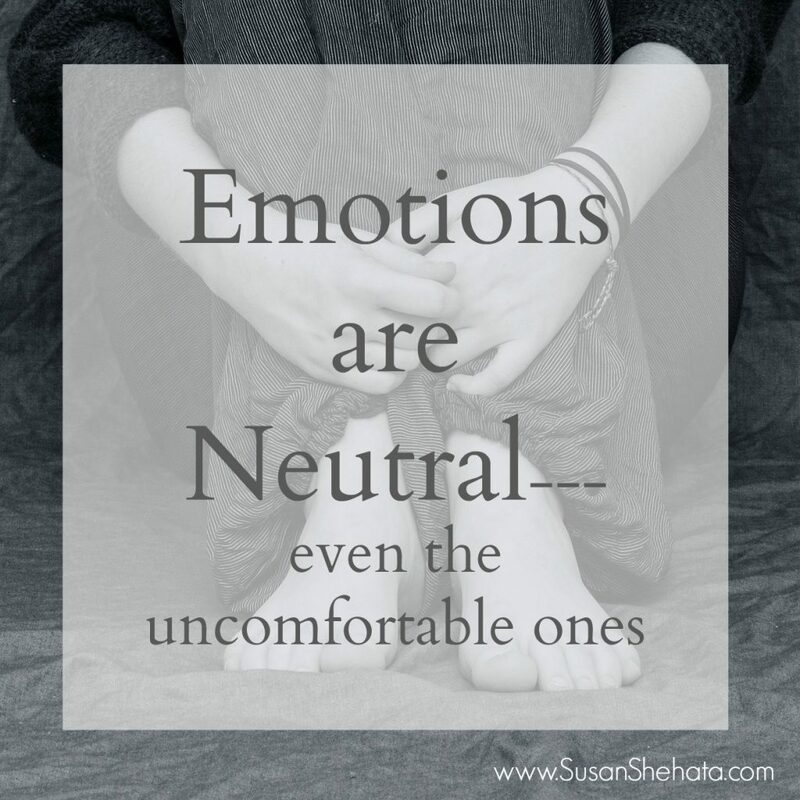 So, if feelings are neutral, why do some feelings, like joy or love, feel so much better in our bodies? Emotions do have different weights, so some feelings are naturally heavier than others. But, this is still about density not value. Dense emotions can weigh us down or make us feel contracted, but that doesn’t make them bad. Much of our bodily response has to do with our judgment and resistance to experiencing the feeling. So, your RESISTANCE to sadness, anger, fear or jealousy is what is creating the tension (or pain) in your mind and body. And, that disharmony is often the source of a mental or physical health issue. For some people, based on their experiences, love and joy ARE the painful feelings. And, sometimes, a long, sad cry can feel cathartic. When we stop labeling any of our feelings as bad, we begin to have a different relationship to them. We begin to experience them as neutral. And from that place, we are more open to receiving their deeper message. ← Can Despair be Productive?